One of the musical inspirations for guitar legends like Jimi Hendrix, the Rolling Stones and Jimmy Page, this American blues guitarist is considered to be one of the greatest axemen of all time. 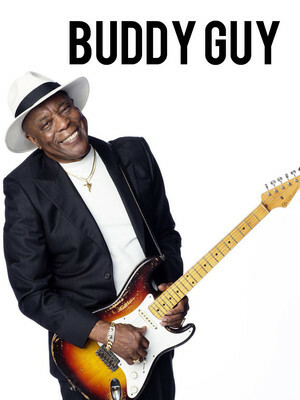 Buddy Guy is a Rock and Roll Hall of Fame inductee, six-time Grammy winner, and, as if that isn't enough, Eric Clapton once called him "without a doubt the best guitar player alive". Enough said. Born in Louisiana, Buddy Guy started his career as a session artist working for a music label where he recorded songs with the amusing pseudonym 'Friendly Chap'. 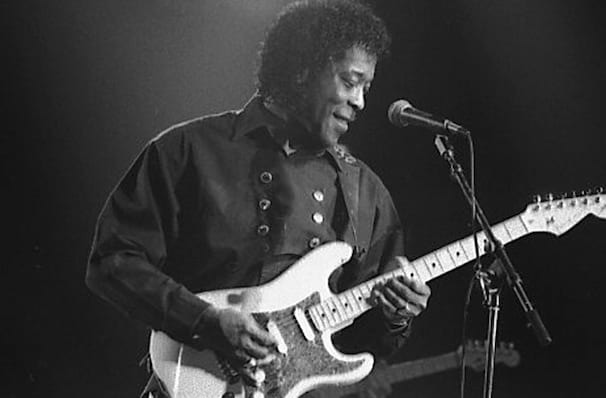 His discography includes several Grammy winning albums, with 1991's "Damn Right, I've Got the Blues" helping cement his standing as a guitar and blues maestro. Sound good to you? Share this page on social media and let your friends know about Buddy Guy at Ravinia Pavillion. Please note: The term Ravinia Pavillion and/or Buddy Guy as well as all associated graphics, logos, and/or other trademarks, tradenames or copyrights are the property of the Ravinia Pavillion and/or Buddy Guy and are used herein for factual descriptive purposes only. We are in no way associated with or authorized by the Ravinia Pavillion and/or Buddy Guy and neither that entity nor any of its affiliates have licensed or endorsed us to sell tickets, goods and or services in conjunction with their events.